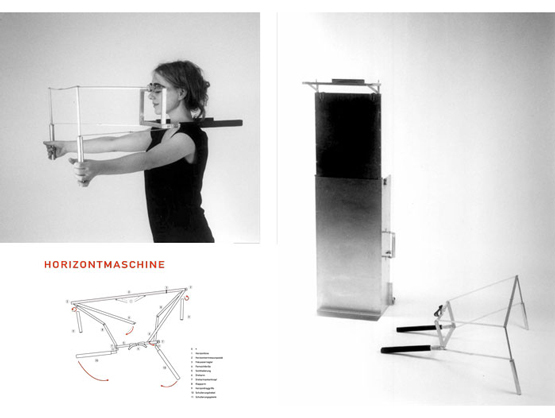 The horizon machine is a device that creates and structures the user’s view. It has special eyeglasses which are connected to a bar suspended at a distance of 40 cm from the eyes: this is the horizon line. This line precisely bisects the view of the user. A scale engraved on the horizon line indicates the angle of vision as well as the vanishing point, which is assigned the number 0. The suitcase can be transformed into a stand to which the machine can be fixed for more exact measuring. 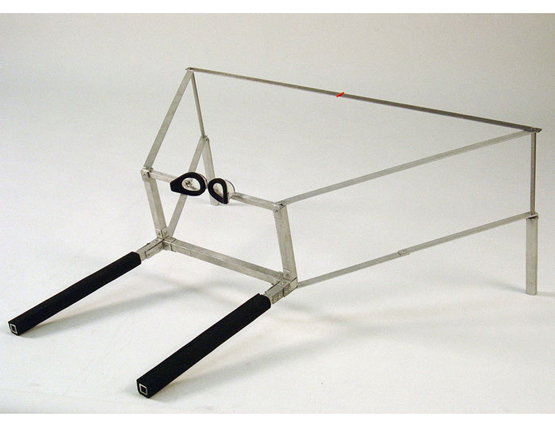 The horizon machine is light and easily transportable. There is a manual which explains its different functions and uses.